Miller, Rebecca Ann, age 82, passed away Tuesday, January 22, 2019 at Franklin Ridge Nursing Home. She was born April 12, 1936 in Hazard, Kentucky to Bruce and Edna (Taulbee) King. 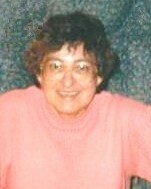 She was a homemaker, Sunday School Teacher, treasurer and very loving mother. Rebecca was a member of Jacksonburg Missionary Baptist Church. Rebecca is survived by her children, Randall (Kimberly) Miller of Springboro, Roger Miller of Middletown, Kim (Ron) Keith of Middletown; grandchildren, David Miller, Daniel (Grace) Miller, Emilee Keith, Elaynee (Eric) Arnold; 4 great-grandchildren. She is preceded in death by her parents; husband of 63 years, Chester Miller; brothers, Morton King, Shaftor King, Causby King; sisters, Chloe Judd, Margaret Taulbee, Julie Clark, Marie Curtis. Visitation will be held Wednesday, January 30, 2019 from 11:00-12:00 pm at Baker-Stevens-Parramore Funeral Home, 1500 Manchester Ave. Middletown, OH 45042. A Celebration of Life Service will follow at 12:00 pm at the Funeral Home with Pastor Rick Carr officiating. Interment will be at Butler County Memorial Park. In lieu of flowers, memorial contributions may be made to the Cancer Research. Condolences may be sent to the family at www.bakerstevensparramore.com.